After her racing career ended, Jitterbug found herself in deplorable circumstances along with several others who were taken into custody by Ft. Worth Animal Control. She came into our lives as a foster dog who needed a lot of TLC. 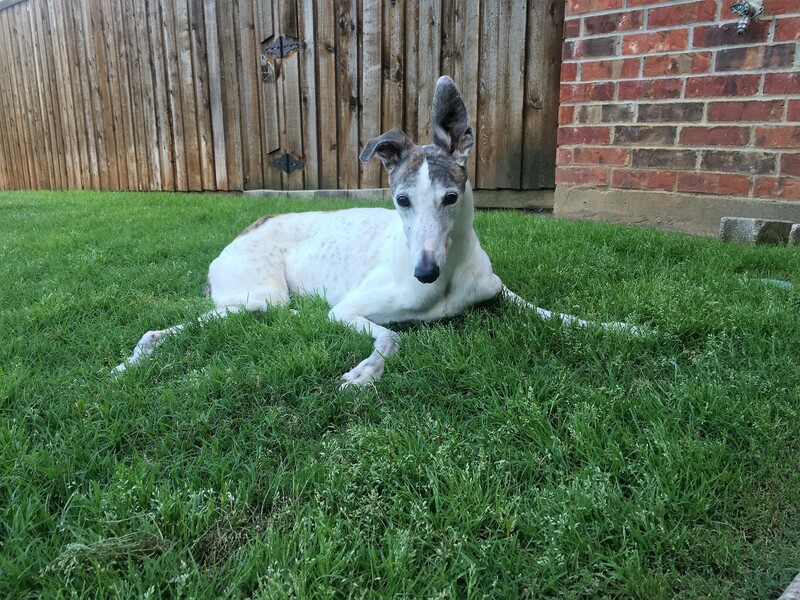 We never let go of Jitterbug from that day forward and she blossomed into a beautiful greyhound girl who loved everyone she met. We are so blessed this little angel stole our hearts and we will always cherish our memories of her.